Remember the never-ending spreadsheets, the scheduling conflicts, the late night bracket building? We make creating competition schedules quick and easy - with the click of a button. Our flexible tools help you quickly generate any type of competition - pool play, bracket play or round robin. Select the number of game guarantees and generate your calendar in a single click with our automatic schedules. 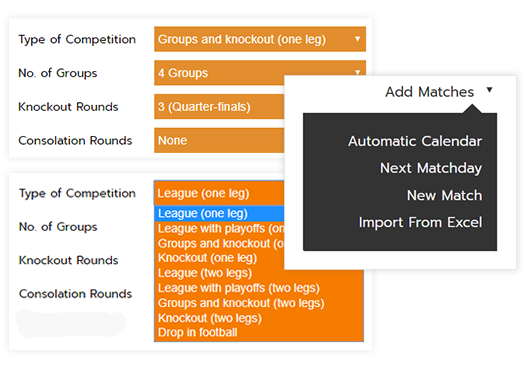 Creating a tournament or league calendar is quick with preselected dates and times. 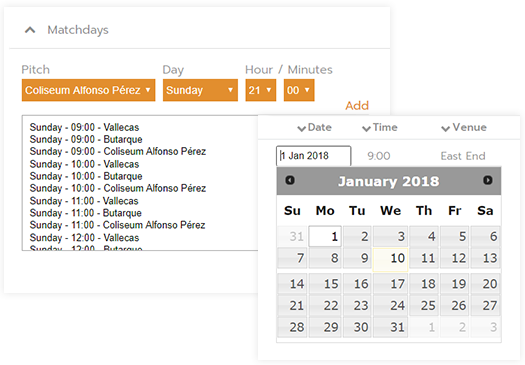 Choose the timing of your matches and we'll use your indications when generating automatic calendar. Alternatively, assign weekdays and hours one by one to your upcoming match or to the next matchday. Weather delays, field changes and surprise cancellations won't be your nightmares anymore. 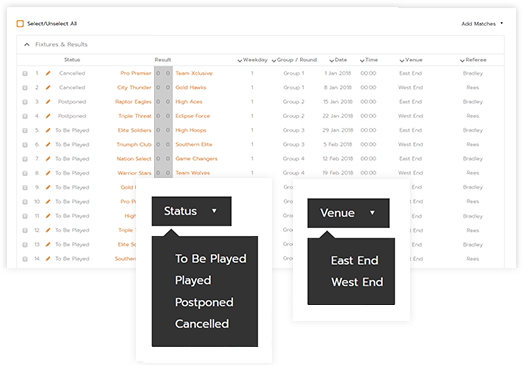 Face them with Competize simple bulk edit for venues and match statuses. Make updates from anywhere, anytime. Simplify the communication with your participants thanks to instant notifications.